Derrick Kosinski & Scott Yager are joined by Tori Hall. Tori Hall (@ToriFiorenza) is a two-time Challenge Champion. She joins Derrick (@DerrickMTV) and Scott (@SHOTOFYAGER) to talk about how she got started on Road Rules, why her season, Viewers Revenge, should not be considered an actual season, what memories she has of her time on The Challenge, why she and her then husband Brad walked away from the show and what it was like seeing Brad make his return after all these years. Tori sheds ... See More light on a few recent back-and-forths between her and Britni Nicol and breaks down the current crop of female competitors on The Challenge. Tori is a great guest and this is not an episode you'll want to miss! 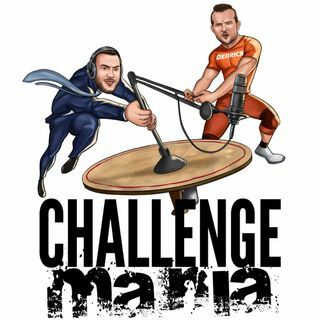 If you want even MORE Challenge Mania, including a special breakdown of the CT Getting Married Wedding Special with CT's Best Man, John Hickey, head over to www.Patreon.com/ChallengeMania and consider becoming a Challenge Mania Patron. You get tons of bonus content each month and it's also the only way to vote for the Challenge Mania Awards at the end of this month. Voting will begin on December 26th when the nominations are announced on a special podcast. Head to www.ChallengeMania.Shop to get YOUR Challenge Mania gear and to represent your favorite cast members like Shane, Kailah, Marie, Cara, Mark, Paulie, Jemmye, Darrell and Devin! Poshmark is giving Maniacs $5 off their first purchase. Download the Poshmark app and use the code CHALLENGEMANIA to start shopping for clothes! Brooklinen, the best sheets ever, are giving Maniacs $20 off their first order AND FREE SHIPPING! Use the code MANIA! Snuggle up! Scentbird is also hooking Maniacs up! Get 50% of your first order and start receiving the perfect amount of cologne and perfume each month. Use the code MANIA. Come check us out in NYC at Carolines on Saturday, January 26th, 2019. Our guests will be Marie Roda, Susie Meister and Kenny Santucci! Tickets are available at www.ChallengeMania.Live - The Pre Show Meet & Greet is already sold out, but tickets to the show are still available. Get yours today before it's too late! Thank you for having the OG Tori on here the true 2 Time Challenge Champion Loved This Interview thank you for having her on it love when the Old School Challengers on! !